Choosing the best side sleeper pillow can help you not only with sleeping more comfortably on the side, but also to treat obstructive sleep apnea, snoring, neck and back pain, and daytime sleepiness. what is the best belt for side sleepers. How Effective is a Side Sleeper Pillow for OSA and Snoring? Several studies demonstrate that a correct side sleep position is very important in treating sleep related breathing disorders. One study found that using a proper head-neck support during sleep can help snoring and OSA. 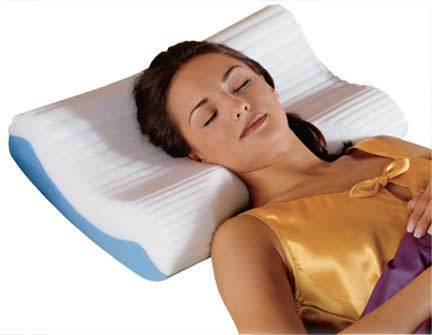 Scientists used in their test a cervical-support pillow, also called contour pillows. Read the study here. A 6-month follow up study demonstrates not only the effectiveness of sleeping on the side to treat OSA, but also emphasizes how important is to have a comfortable side sleep pillow for long term therapy. Read more here. Another clinical study uses a sleep apnea avoidance pillow (SONA Pillow) to test its effectiveness in sleep apnea patients. 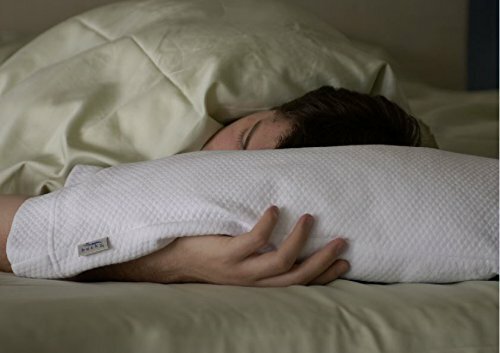 With this pillow you can put your arm through, and has a unique design to keep you sleeping on your side. The results were encouraging. Read the study here. How to Choose a Pillow for Side Sleeping? The pillows are design for various needs and preferences which are highly individual, just like a CPAP mask. What works for a person may or may not work for another. Some people feel comfortably with a buckwheat hull pillow, others with a contour or memory foam pillow. The best policy is to try the pillows in the store. Take a couple of minutes and lay on the pillow in your preferred sleeping position. 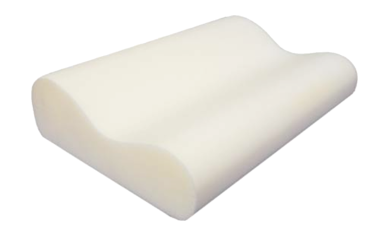 Contour Tempurpedic Pillow is one of the best side rated side sleeper pillows on the market. 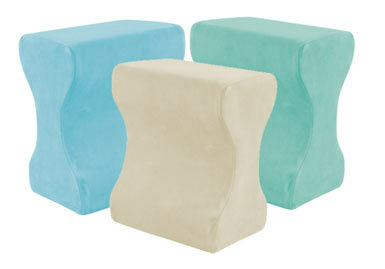 The pillow has a therapeutic effect by adapting exactly to the shape of your head and neck. This will increase enhance the comfort during the night and spinal comfort during the day. The Tempurpedic side sleep pillow is made from heat-sensitive material which is responsible for the increased comfort during sleep and also for the high price. Contour Secret Pillow provides head and neck support, but the design also helps to reduce the pressure points and stress in your neck and back. The pillow's design help you to sleep relaxed on your side, with a natural alignment of head, neck and spine - useful for people with snoring issues or mild sleep apnea. 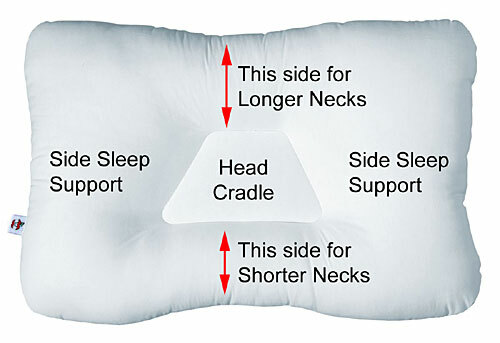 The Tri-Core Cervical Pillow has a trapezoid center where you rest your head, and the edges supports the neck in its natural position. The pillow has a moderate firmness, which is necessary to prevent your head collapsing into the bed, causing that awkward angle that leads to neck pain. The softness is enough to sleep easily without having pressure points on the points of contact to your head and face. For side sleeping, you have to sleep on the edge of the pillow, and in the middle when you choose to sleep on your back. However, if you have obstructive sleep apnea, you should avoid sleeping on your back as much as possible, especially when you don't have a CPAP. The Bucky Buckwheat / Millet Hulls Pillow have the advantage of having hulks that you can move around in a way that allows your head to get into a comfortable position. You can also add or remove hulks as you wish, to make the pillow thicker or thinner. The Buckwheat Millet pillow has 2 sides, and each side is filled with the specific material (buckwheat or millet). This pillow has also success in CPAP users, because they can push some of the hulks away to create a depression for the mask to set in. If you are a side sleeper, a pillow between the knees in addition to your side sleeper pillow is highly recommended. The Contour Leg Pillow is placed between the legs and is shaped in such a way to relax the back muscles while sleeping on the side. The side sleeping backpack is the ultimate accessory for sleeping on the side in a comfortable and effective way. It doesn't matter what pillow you use, as long as you have the backpack you don't have to worry about rolling over while sleeping. The side sleeping backpack is effective only for treating snoring and mild to moderate obstructive sleep apnea. Bottom line... Can a side sleeper pillow reduce the risk of apnea and snoring to good extent? The answer is "yes" as long as you have a mild to moderate sleep apnea, and the cause of your snoring is an obstruction of the airway. 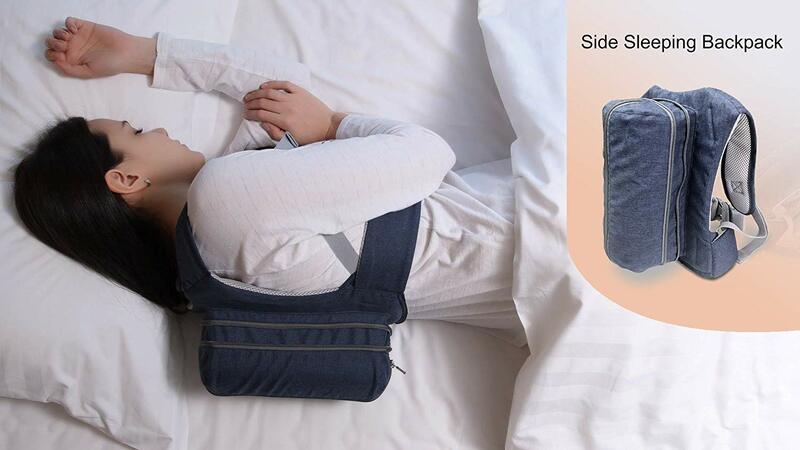 Using a side sleeper pillow in combination with the leg pillow and a side sleeping backpack is the most complete kit for side sleeping and obstructive sleep apnea treatment in mild/moderate patients. Many apnea sufferers agree that side sleeper pillow is better for side sleeping than the traditionally shaped ones because of their ergonomic design and their slightly elevated top. Both types, however, can cause problems for those using CPAP or similar machines and masks. Using a special CPAP pillow (a pillow with a cut away in the foam to allow the CPAP mask to rest) will help you sleep better on the side while keeping the mask comfortably on your face.